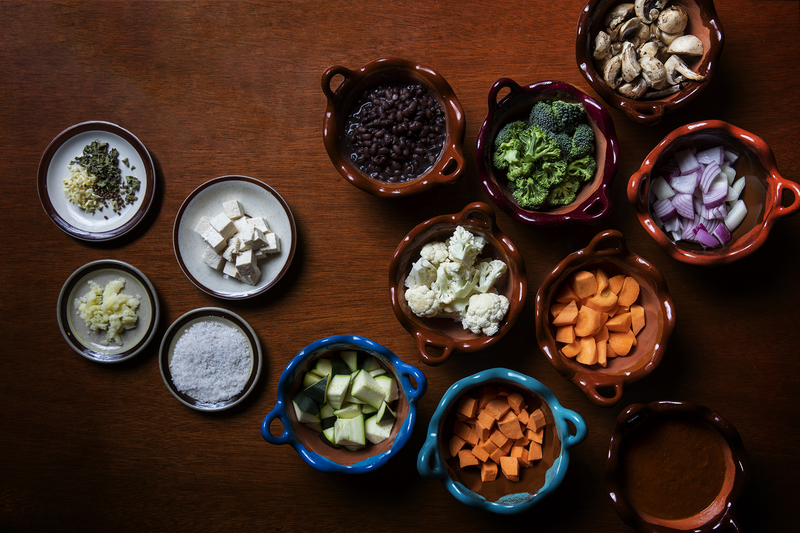 One of our favorite things about winter is the hearty vegetables we grow at Tres Estrellas. They’re wonderful on their own or in this Vegetarian Winter Stew, infused with a spicy kick of our fresh Three Chiles Salsa, that’s quick and easy to make in advance. 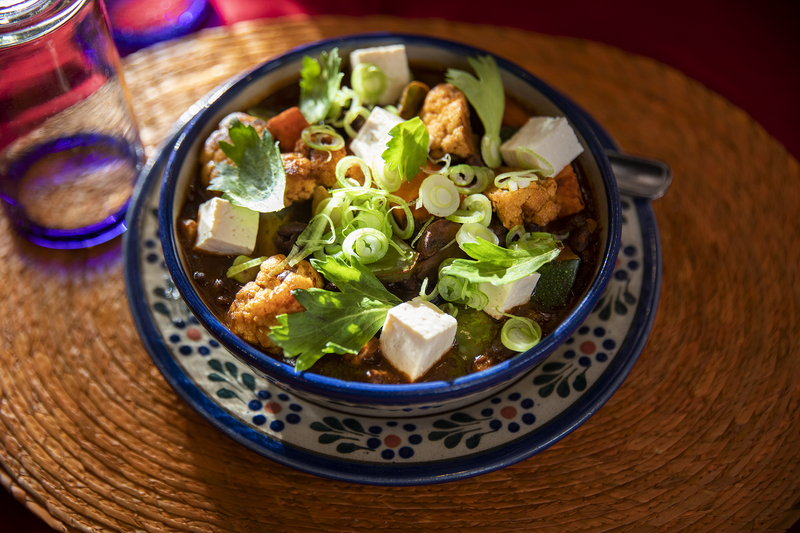 Enjoy this hearty winter stew from Executive Chef Reyna. Heat a 12-inch pan over medium to high heat and add olive oil, tomatoes, chiles and garlic. Cook until tomato skins are charred, about 5 – 7 minutes. Season to taste. Let mixture cool then process in a blender until smooth. Add a splash of water if needed. You can store this salsa in an airtight container for one week. Place the ghee or olive oil in a stew pot. With low heat lightly toast the spices, coriander seeds, oregano, onion, garlic and cumin. They should be lightly browned in about 2 minutes. Add the broccoli, cauliflower, carrots and sweet potato. Stir frequently for 10 minutes add the mushrooms and peppers. Add the cooked beans, Three Chilis Salsa, water and let the vegetables simmer. Constantly stir for 15 minutes at low heat to prevent anything from sticking to the bottom of the pot. Gently poke the vegetables with a fork to check they are fully cooked. Gently fold the tofu into the mixture and serve. 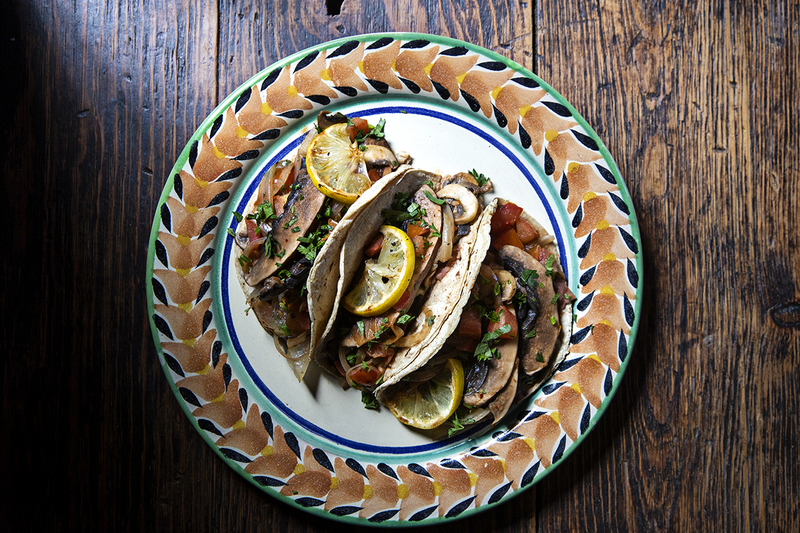 Serve in a bowl and top with chopped herbs. 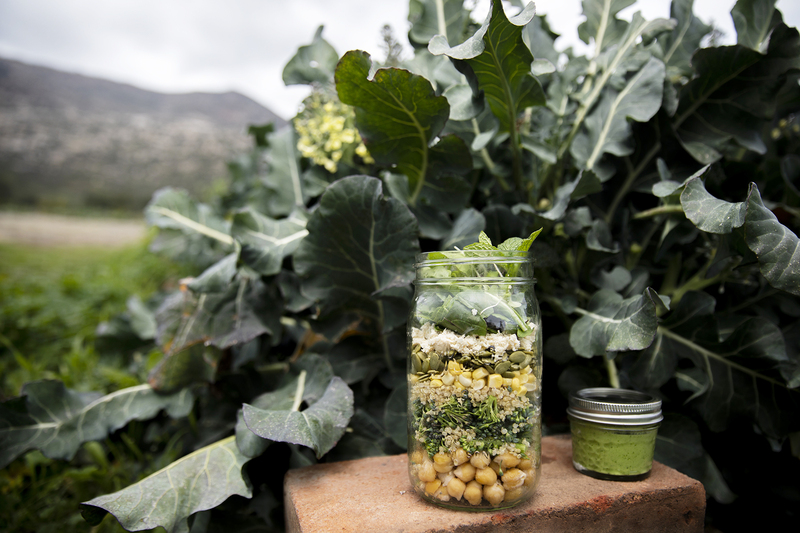 See more delicious soups from The Ranch or learn more about our organic farm, Tres Estrellas.